In a statement, Monsanto has said it would file an appeal. You can read the entire statement here “The Jury Got it Wrong on Glyphosate“. 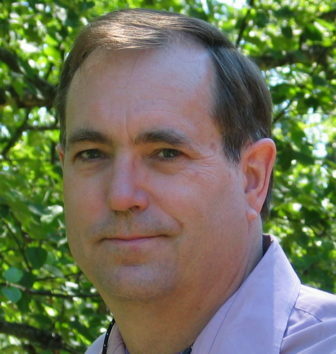 Charles “Chuck” Benbrook has a PhD in agricultural economics from the University of Wisconsin-Madison and an undergraduate degree from Harvard University. He a Visiting Scholar in the Bloomberg School of Public Health, Johns Hopkins University, and a Visiting Professor at the University of Newcastle in the U.K.
Benbrook has served as an expert witness in several pesticide and food-labeling related cases in which government regulatory policy has played a central role. He worked as a testifying expert in the Lee Johnson case against Monsanto, and is involved in other, similar litigation. His website, Hygeia Analytics, retraces Chuck’s career and provides in-depth information and commentary on genetically engineered crops and pesticide use, risks, and regulation. See for example “Bayer Announces Plans to Shed the Monsanto Name — But Will the New Bayer Differ from the Old Monsanto?”, a blog that takes on added urgency for Bayer’s leadership team in the wake of the Johnson verdict and financial award.Contact Benbrook at charlesbenbrook@gmail.com. Charles “Chuck” Benbrook: I have followed the history of glyphosate and Roundup use, risks, and regulation for nearly 40 years. At each turn of my career, there was a cluster of Roundup-related issues on the agenda. It began with my work in 1981-1983 as the staff director of the Congressional Subcommittee that uncovered the so-called Delaney Paradoxinvolving cancer-causing pesticides. A dozen years later, after two (National Academy of Sciences) reports and the efforts of many people and (non-governmental organizations), the Subcommittee’s work came to fruition with the passage by Congress of the historic, 1996 Food Quality Protection Act. Benbrook: I was responsible for addressing Monsanto’s management — and spinning — of internal and external science. This included their extensive ghost-writing of peer-reviewed papers, commentaries, and other published and marketing material; the company’s manipulation of peer-reviewed, published science; and, Monsanto’s refusal to provide to EPA damaging information they became aware of through their internal research, including some key studies that Monsanto was arguably obligated under federal law to provide to EPA. Benbrook: It surely will have an impact on the many hundreds of cases already moving through the courts, especially if and as other juries concur with the cancer-causality judgement embedded in the jury’s verdict in the Johnson case. I think Monsanto will also face growing difficulty recruiting experts to testify on their behalf, especially as they learn more about the facts of the case. Throughout the trial, in essentially every case in which a study reported evidence in support of a link between Roundup exposure and cancer, the Monsanto lawyers and experts argued that the science was flawed, the results misinterpreted, or a more recent, often Monsanto-sponsored, negative study “trumps” a past, positive one. After days of such responses to positive studies, I suspect the jury began to question the objectivity of the Monsanto experts and lawyers. Plus, Monsanto advocates have a tendency to overstate their case: e.g., we often hear them say there is “no evidence” Roundup poses x, y, z risk, and that 800 studies show Roundup is safe. There are over 4,000 studies on Roundup and glyphosate, and hundreds report evidence supporting a role of Roundup in Lee Johnson’s non-Hodgkin lymphoma. To dismiss all positive evidence as flawed or irrelevant was apparently too much for this jury to stomach. InvestigateMidwest: Is there anything else you want to add that I haven’t asked?